Halloween may be nearly three months away, but haunt season is just around the corner. 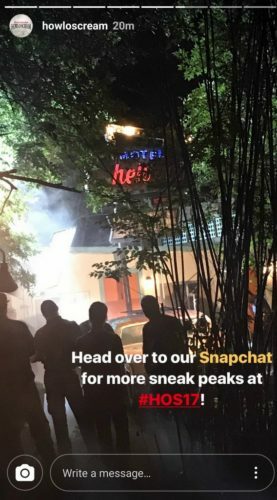 Busch Gardens Tampa Bay over the last few weeks has shared a number of details about Howl-O-Scream 2017 through their various social media accounts, and more rumors of what this season’s event will offer have come to light. First, let’s look at what has been confirmed regarding Howl-O-Scream 2017 at Busch Gardens Tampa Bay. The event will run a total of 19 nights, beginning with Freaky Preview Weekend on September 23rd & 24th. As in years past, Florida Platinum Pass Holders will receive free admission the first weekend. The event then runs Fridays & Saturdays through the end of October, with Thursdays and Sundays being added in the final three weeks. The last chance to experience Howl-O-Scream 2017 will be October 29th. Tickets are already on sale, and the current summer promotion is amazing. Guests can purchase tickets valid for any night for $29.99 plus tax & service charge. Pass Members save an additional $5 when purchasing online through the pass member site. With the day of gate price for Howl-O-Scream 2017 now being listed at $104.99 on the park’s site, it definitely makes sense to get tickets before this promotion ends August 16th. Three returning houses have been announced over the last few weeks – Motel Hell, Unearthed, and Death Water Bayou. 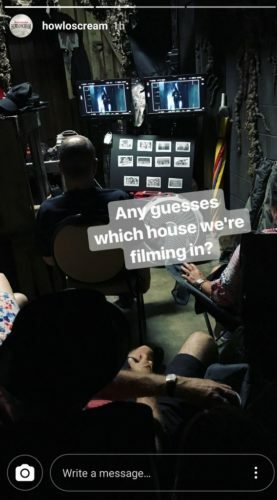 The website notes there will be a total of seven houses. 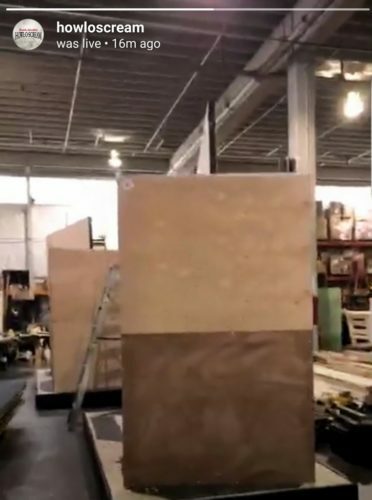 In a recent Facebook live video, it was confirmed there would be two new houses replacing two old ones. 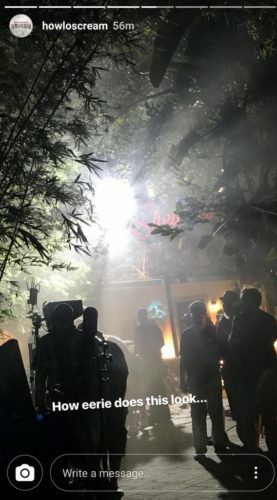 Filming for this year’s television commercial took place at the park recently, with locations including Motel Hell and the Gwazi Park pathway where a zombie horde scene was staged. 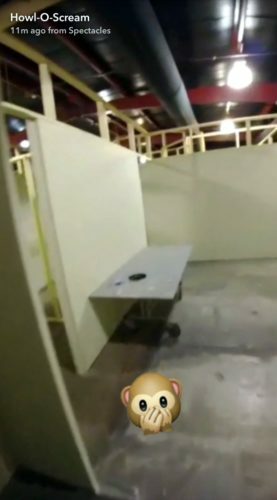 The park used its Snapchat, Instagram and Facebook accounts to give guests a peek behind the scenes. 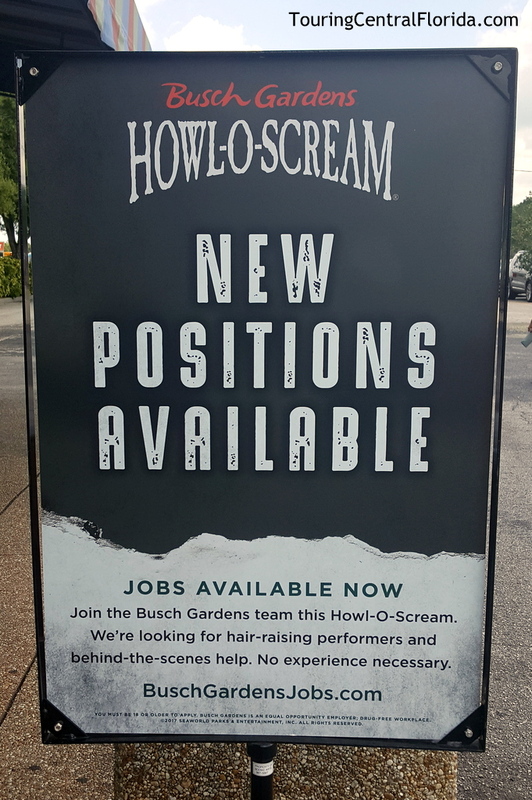 The park is making a significant effort to hire the estimated 700 scare actors needed for Howl-O-Scream 2017. That number includes actors needed for the seven houses, several scare zones (including a few new ones), and to ride along with guests on several attractions. The event’s web page notes that scare actors will ride along with guests on some attractions. The past few seasons have seen “Crash Test Zombies” at Ubanga-Banga Bumper Cars, although this year it sounds like it could be expanded to additional attractions. Along with regular posts on the park’s social media accounts, signs at the tram stops at the park have also popped up letting guests know about the opportunities. Last weekend at Tampa Bay Comic Con, the park also has a booth set up to schedule auditions for Howl-O-Scream 2017. 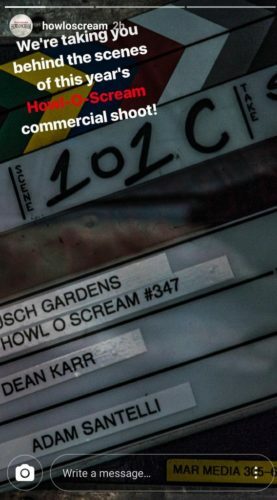 There is still a lot of information that hasn’t been revealed for Howl-O-Scream 2017. While much of the basic information has been released, including dates, times, and the summer ticket deal, this year’s theme and all of the various upgrade options are still yet to be announced. 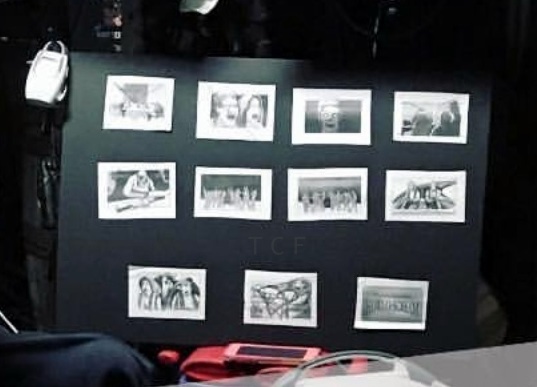 We know there will be a total of seven houses, and three have already been announced. With the confirmation of two new houses replacing two old ones, there is a strong indication which two will be the ones to go. 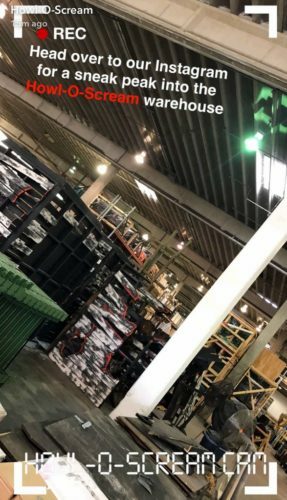 Through their Snapchat account, the park teased one of the two new houses. 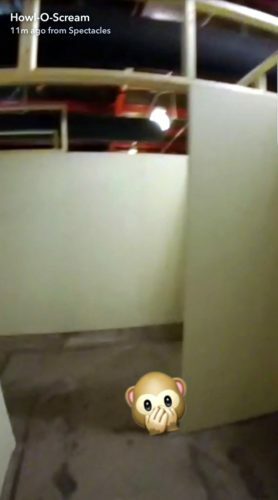 Following the progress of the Snapchat story, we first saw the path along Gwazi, then inside a new house, which appeared to be the Gwazi Park pavilion. This location has been home to Circus of Superstition the past couple of seasons, so it seems likely this is one of the houses to be replaced. There wasn’t much to see inside the house, just various framing and drywall as it’s still in the early stages of construction. But @jayinflorida reported on twitter a possible name for the new house: Demon Dimensions. 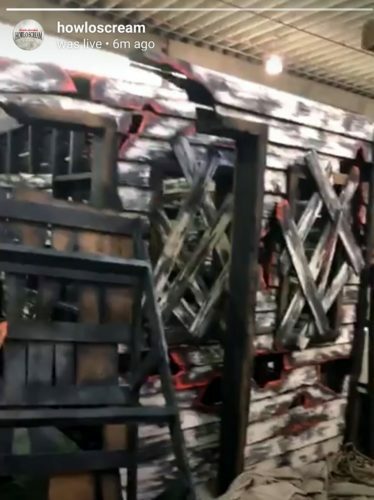 Jay had also tweeted previously the other house to get the ax this year would be Zombie Mortuary, and its replacement would be called Arena of the Undead. 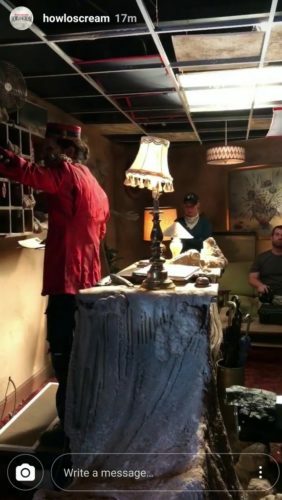 Although Zombie Mortuary has received very positive guest feedback scores, being the oldest house, it would make sense to see it replaced after a long run of 6 seasons. 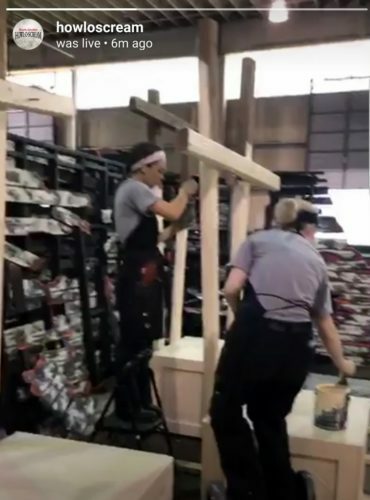 Last week, the park gave a behind the scenes look inside the entertainment warehouse, where crews were busy assembling scenery elements for scare zones. Some pieces were near completion, while others – like the massive front gate set – were just being started. While not official, I’ve been told Fiends is slated to make a return this season. The big difference this year could be its location – it is rumored to be moving back to Stanleyville Theater. Expect the core of the show to remain the same as past seasons, with updated pop culture references between the dance numbers. If the rumor of Fiends moving is true, this could mean a new show will be coming to Dragon Fire Grill. 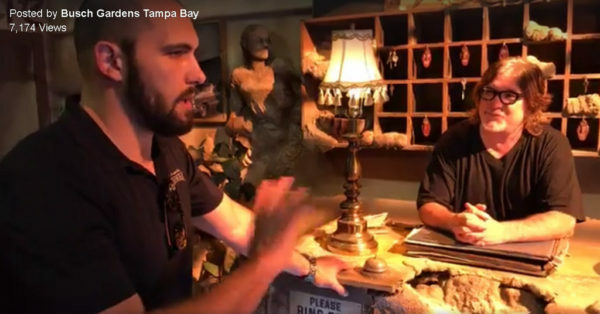 There are no details on what that show might be at this point, but another rumor shared with Touring Central Florida is a venue that will be themed as a haunted speakeasy. It’s possible Dragon Fire Grill could be that location, with a show that fits the theme. Expanded culinary offerings, in the form of special booths like those for Summer Nights, are also rumored for Howl-O-Scream 2017. We’ve been told to expect some theming for the booths, along with special menus, including one featuring barbecue selections. 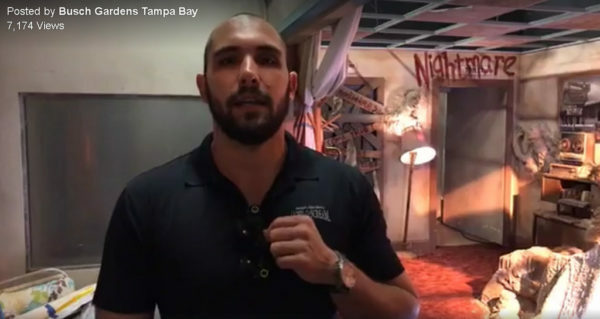 For the latest on #HowlOScream at Busch Gardens Tampa and other theme parks, attractions, dining venues and more across the region, be sure to follow Touring Central Florida on twitter @TourCentralFL & @androckb, and give our facebook page a like. Have you heard if the Recurring Nightmare pass is going to be back this tear? The Recurring Nightmare pass (or something similar) should be back this season. It looks like they are waiting until after the Summer Ticket Deal offer is over (August 16th) before releasing all of the upgrade options. Yeah… they keep using that word “upgrade”. I do not think it means what they think it means. I’m trying to find out BEFORE I lose the ability to buy individual cheap tickets on the 16th. If I gamble wrong and they don’t offer the pass this year, it’s the difference between the free platinum visit and 6+ nights. If I hear sooner I’ll update here for your reference. Do you know if i purchase the summer pass today, can i purchase the RIP at a later time? 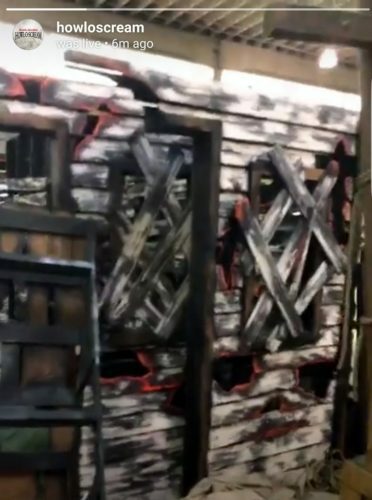 The Howl-O-Scream accounts have been saying that all upgrades will be available “soon”, and most of them have always been separate add-ons anyway. Unless you’re planning on doing one of the VIP packages which include admission, the current deal which ends tonight is definitely going to be the best price on admission.